The FM H15-44 was the builder's first, true road-switcher. This locomotive simply followed Fairbanks Morse "Hood" line as it did not really distinguish between switchers and road-switchers. This was slightly odd considering that all other major builders clearly differentiated between their various designs. The one notable exterior difference between the two was the location of the cab; switchers always had theirs set to one end of the carbody while road-switchers' were off-set allowing for a short, high front nose (used to house auxiliary equipment). While this initial model did not sell well for FM (its Canadian Locomotive Company arm would take no orders for the locomotive) future designs had somewhat better success. Alas, given the few number of H15-44s ultimately built none were preserved for posterity. It is one of the few FM models that does not survive. The FM H15-44 began production in August of 1947 utilizing the builder's ubiquitous two cycle 38D8 1/8 opposed piston prime mover, which could produce 1,500 horsepower. This diesel engine became the company's standard design it employed in nearly all of its locomotive. The H15-44 was quite similar to Electro-Motive's GP7 released a few years later; it was about the same length at 54 feet and offered the exact same horsepower. 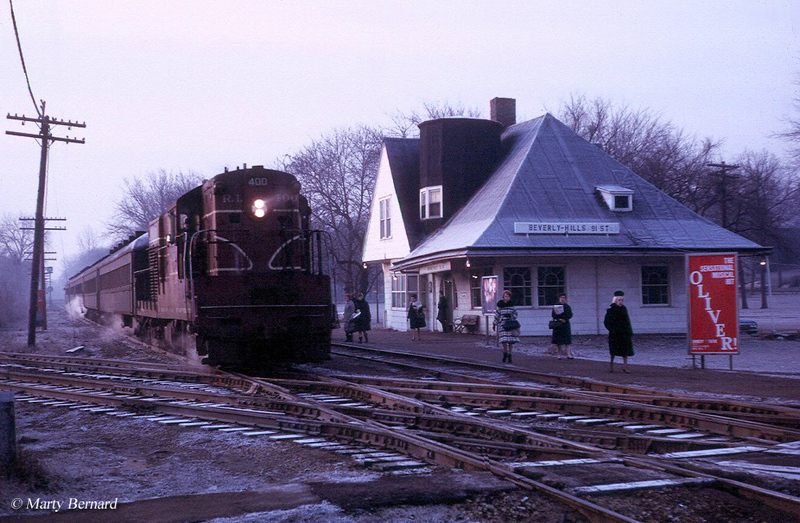 Additionally, tractive effort was quite similar although there were some differences; while the GP7 offered more starting effort (65,000 pounds compared to 60,000 pounds) the H15-44 employed more continuous effort (52,500 pounds compared to 40,000). Because Fairbanks Morse was not heavily involved with the railroad industry prior to releasing its diesel line the company had little knowledge on styling and overall design. 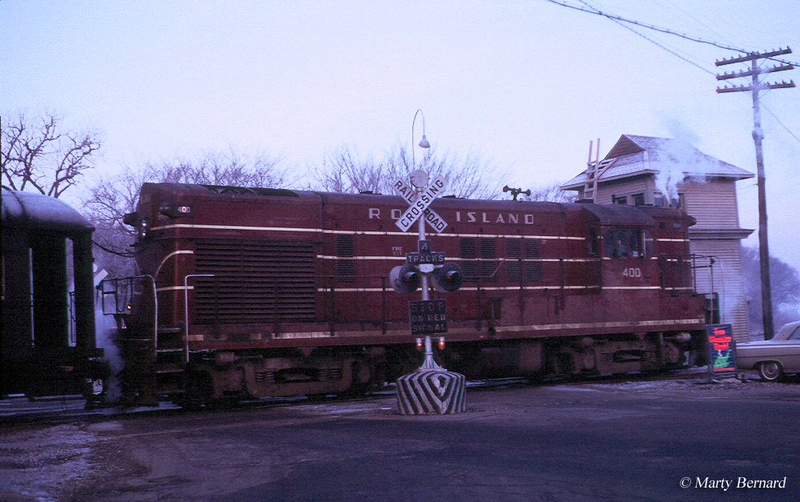 To compensate for this lack of aesthetic ability FM hired famed industrial designer Raymond Loewy to mold the H15-44 into a pleasing carbody that offered crews good visibility and versatility. Loewy's recommendations were subtle, and while some were more cosmetic in nature than utilitarian in general they were effective in giving the locomotive a nice look with clean lines and a flush roof. In truth, the H15-44 (and all of FM's switchers and road switchers) carried an appearance similar to Baldwin's designs. FM's model classification system also followed Baldwin's to some extent although they were not quite as complex. For instance, in the case of the FM H15-44 the “H” stood for Hood unit, “15” was for 1,500 horsepower, and each 4 meant four axles and four traction motors. In the end, though, FM sold only 35 units when the last was outshoppped in June of 1949. The railroads that went on to purchase the locomotive included the Akron, Canton & Youngstown (1), Central of Georgia (5), Jersey Central (13), Monon (2), Denver & Rio Grande Western (3), Kansas City Southern (2), Rock Island (2), and Union Pacific (five). Additionally, there were two demonstrators built both of which were numbered 1500; one in 1948 and the other in 1950. 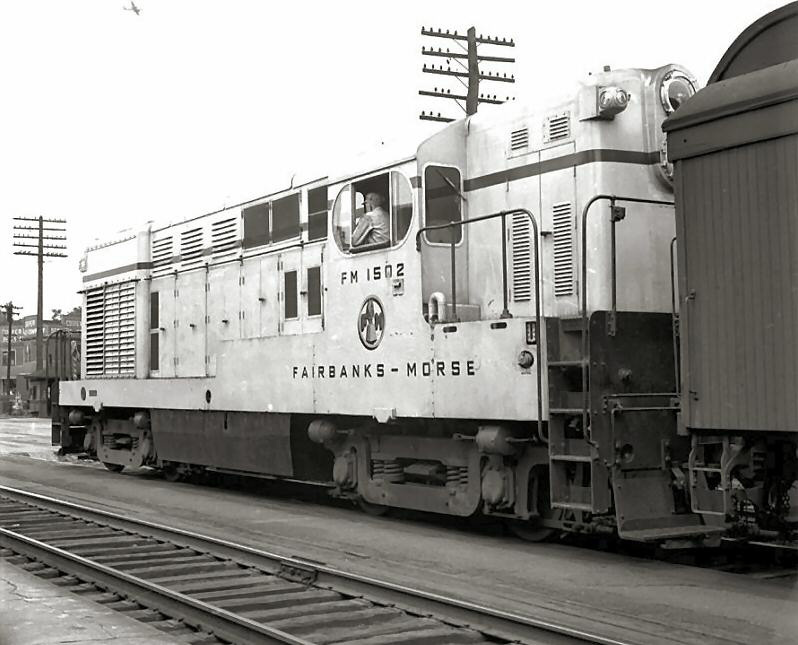 Interestingly, despite the issues the Fairbanks Morse suffered with its opposed-piston prime mover and railroads' frustration with it the succeeding H16-44 design proved to be one of the company's best selling models. While the H15-44 was only marginally successful from a sales standpoint it is not necessarily because Fairbanks Morse's models in general were unreliable, as was usually the case with Alco (early on anyway) and particularly Baldwin. Reliability with FM's diesel locomotives has often been questioned but I believe the issue was mostly due to the fact that FM's opposed-piston prime mover was difficult to maintain and far different from the standard designs being offered by the other builders. For instance, in regards to the Train Master, it has been noted by John Kirkland in his book The Diesel Builders Volume 1 that the locomotives performed admirably for more than 20 years on the Southern Pacific due to a maintenance team that understood the model, despite taking a daily beating in freight service.